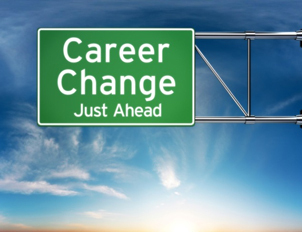 Whether you’re in a mid-level management position and feeling stuck in your career or a recent college grad dissatisfied with your chosen academic field, switching careers is not easy. Beyond making the decision to make the leap into uncharted waters, you’ll need access to the right resources and people who can help guide you during your career transition. Pivot PlanetÂ – Before switching careers, one of the first things you should do is connect with people currently working in your desired new career for some real-life advice and insight.Â PivotPlanet, with more than 300Â career types available,Â connects career switchers with expert advisors, career coaches, and corporate outplacement services.Â But take note, there is a $50 fee for sessions with expert advisors who offer one-on-one video and phone (VoIP) sessions. The option of in-person mentorship with some of its advisors are also available. CareerShifters.orgÂ – From career transition success stories to online workshops to help you get unstuck, career switchers.org provides all the tools and resources you need to help you get unstuck and develop a clear plan of action. QuintcareersÂ -Â This site provides a repository of Â career change tools and resources on everything from sample cover letters and resumes toÂ networkingÂ and expert advice. The MuseÂ – Noted as the one-stop guide to your dream career, The Muse recently launched #CoachConnect, a network of professional coaches who can help you differentiate yourself from others, create a plan of action, and develop a networking strategy. LevoÂ – Another great site providing access toÂ articles about aÂ career change, toolkits to help you find a career, andÂ a network of professionals. Levo also hosts “Office Hours,” a weekly series of conversations with extraordinary leaders who give you an inside look into their career paths, lessons learned, and personal advice. Top 10 Sites to Learn to Code for Free!